Geranium Essential Oil is a wonderful skincare oil and has a stabilizing and balancing effect on the emotions. Geranium essential oil has a wonderful green, flowery aroma and is both uplifting and calming. An astringent oil, geranium is excellent for all skin types, and is used in skin care products for both its fragrance and cleansing properties. It exerts a "balancing" effect on the skin. Geranium essential oil is also helpful for PMS and menopause, and used in a massage oil, is said to help with cellulite. Also helpful for treating eczema and psoriasis. 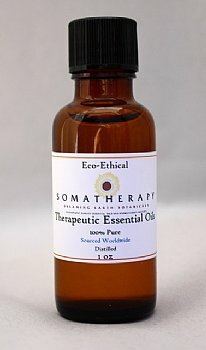 Emotionally, geranium essential oil relaxes, restores and maintains stability of the emotions. It blends well with other floral oils, and, mixed with Lavender essential oil and Bergamot essential oils produces a delightful room freshener. Several geranium oils are available, and are usually distinguished by their country of origin, with each having slightly different percentages of chemical constituents. In addition to Geranium China, we currently offer Geranium Bourbon, Geranium Egypt, Rose Geranium, Organic Geranium Egypt.